More freebies from the Australian hip hop community. 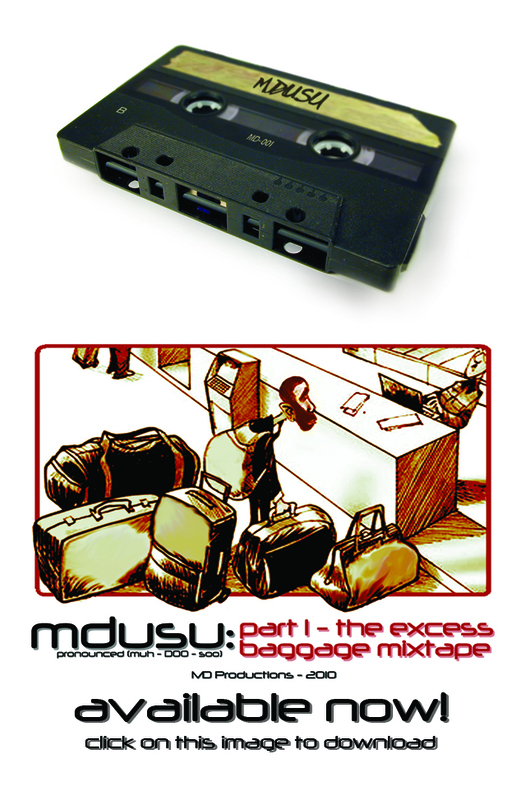 Coming straight out of Hobart (or the Gold Coast now it may seem) is mdusu dropping a free mixtape titled The Excess Baggage Mixtape, who you may know from mdusu&dameza and Heads of State. mdusu explains on his MySpace blog that this mixtape was basically a vehicle to help him get some things off his chest and put them in the past; music, especially hip hop is great for this kind of thing. For now you can grab the mixtape here, but if you wanna throw some support behind mdusu grab his previous works; mdusu&dameza – Can I Get A Soul Clap? and Heads of State – Making The Best of What We’ve Got. 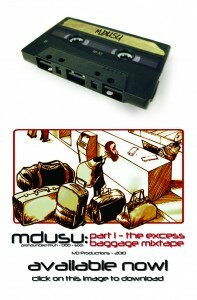 Coming further into 2010, mdusu will be releasing Ex-Sample, so make sure you keep your eyes peeled for that one.